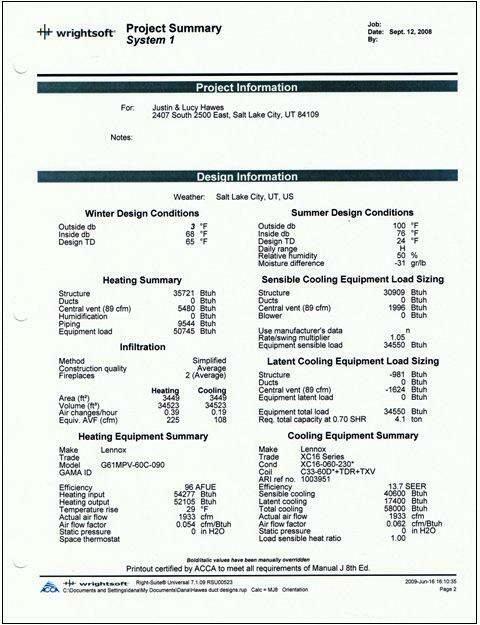 A Manual J calculation peformed with Wrightsoft Right J begins with drawing your home room-by-room, and entering all pertinent info such as insulation factors, windows, ceiling heights, fireplaces, etc. Then the designer separates the home into different systems and zones, if the residence requires multiple zones, or multiple systems, as the residence in our example page does. 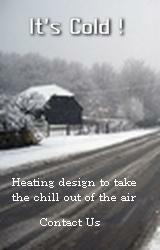 Once the zoning and system separation is determined, the designer then chooses the air conditioner(s) and heating equipment which will provide the home's comfort requirements. 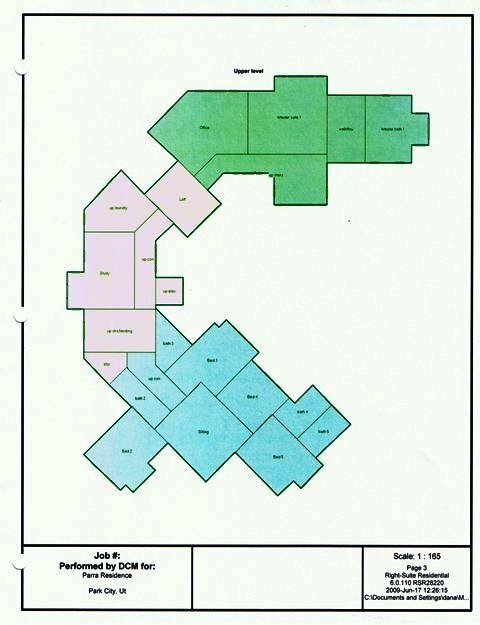 A printout for each system breaks down the requirements for each zone, if zoning is desired. Each zone of each system is broken down into the heat loss and heat gain of each and every room. The btu requirements and air flow requirements for each room are calculated for both air conditioning and forced air heating. 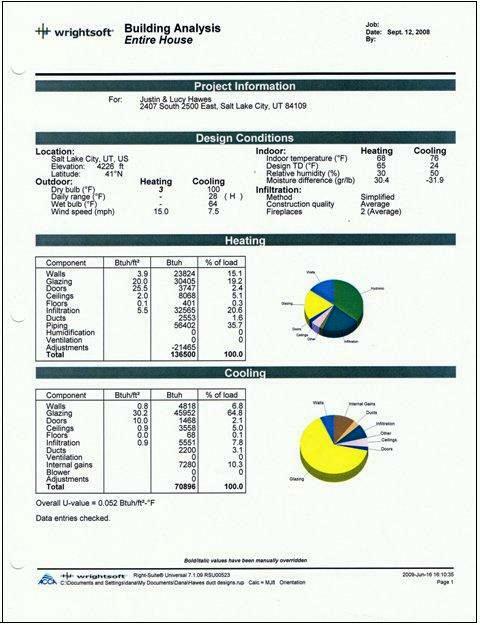 This report explains where the heat losses and heat gains come from, component by component. Other reports produced summarize the project's calculations. 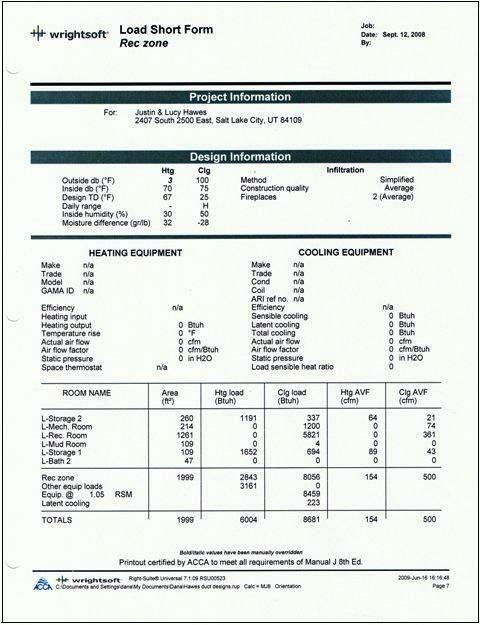 Building Inspectors love these summaries! Also many building departments are now requiring Manual J and Manual D calculations be performed before a building permit is issued. Here's another one! Calculations broken down, first by zone, and then room-by-room. Ya gotta love it! Here is another one of the many reports available once we have done an hvac design calculation on your home. 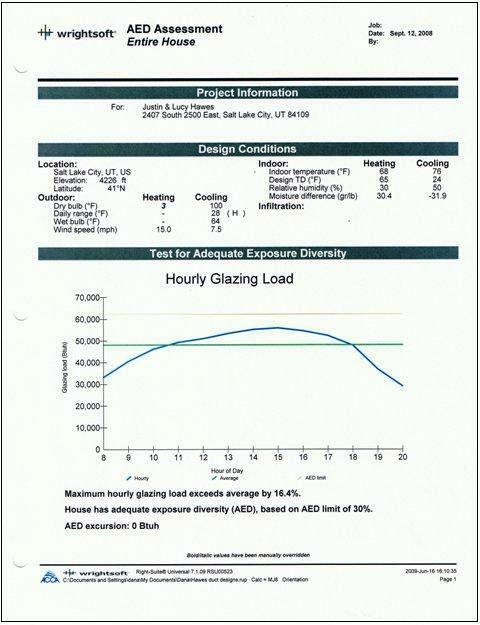 This report is a graph showing the hourly glazing load. AED means "adequate exposure diversity". Click on the buttons on the left upper side of this page to go to another area of our site, or to return to a previous page. 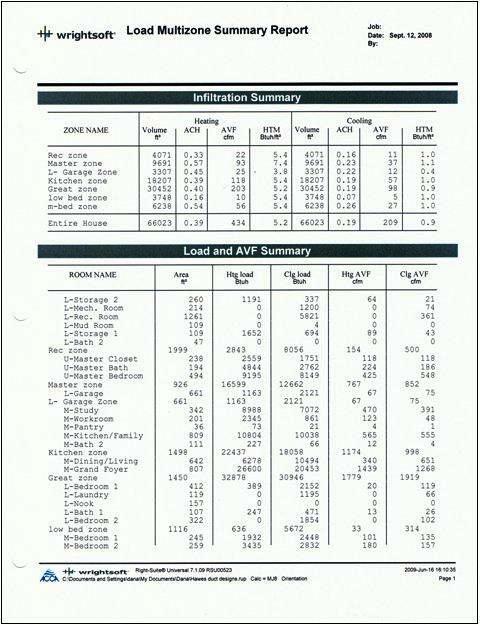 The preceeding Manual J calculations were created with Wrightsoft Right J Universal software. Click here to visit the Wrightsoft site.